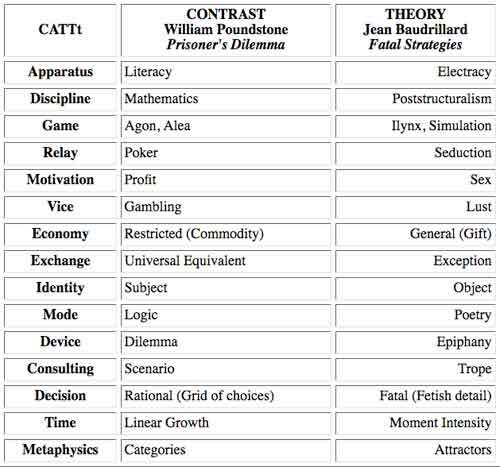 A tactic for tracking the emerging poetics of the CATTt is to put into table form the relationships between (in this case) Contrast and Theory. The table categories itemize the topics shared by the sources, and the generative procedure is to name the contraries of the contrast. The list is provisional and subject to revision. The table is not intended to be self-explanatory, but it should make sense in the context of the readings.